The following post is by my good friend Maria Turner-Carney who is the wonderful therapist behind Feminist Therapy for All Genders. We just celebrated our first decade of friendship (may there be many more!) and she is one of the funniest, kindest, and insightful folks that I know. She's been writing up a storm lately and recently wrote about why astrology matters for queers and she graciously let me share it on my own blog. It should be noted that the images and their accompanying captions were chosen and written by Maria, too. Enjoy! Astrology is something that lots of queer folks are into, though some folks find it to be unscientific and objectionable. Today I am less interested in exploring the spiritual veracity or scientific un/likelihood of astrology. Today we’re going to explore astrology as a resilience strategy, particularly for women and queer folks. And then I was like, oh, he’s a Capricorn, no wonder he sent me that text. found here. Many people in the United States are raised some degree of Christian, and upon departure from their parent’s house, attempt to reconcile this belief structure with the larger world. Many of these people have a complex relationship to faith and spirituality. There are some folks for whom a totally atheistic worldview works, including a departure from astrology. (though I do know an atheist astrologer, she’s a friend from college). However, there are also a lot of people for whom some relationship to spirituality, an ephemeral sense of something ‘bigger than them’ existing in a benevolent way can be a comforting way of articulating the random events that play out in our lives. It can give meaning to a chaotic and confusing world, especially if we don’t feel like we have much control. Sometimes this offers some continuity when we feel an uncomfortable distance from the spiritual framework of our childhood but aren’t comfortable with a life totally absent of spirituality. It’s not uncommon for people to explore spiritualities different than the ones they were raised with- and sometimes this can lead to some gross patterns of cultural misappropriation. When I work with folks who are trying to let go of some of these patterns of culturally misappropriating things for their own spiritual ends, we talk a lot about articulating the meaning of certain objects and rituals and shifting them to less problematic objects with similar inferred meaning. In a similar way, astrology and tarot are things that many queer folks are drawn to. Humans are very busy in the work of meaning-making, and my original interest in tarot lies in my background in media studies, and semiotics, and the cultural practices humans have of inferring narrative from visual images and physical objects. this symbolizes your future of a crown and octopus legs. found here. Things like astrology and tarot can be argued to have an ancient history (since humans have been looking at stars and making attempts at divination for most of human history) or very historically recent (things like the Rider Waite tarot deck only becoming popularized in the last 100 years). What I find makes these things really special and significant is that people are using them as tools for meaning-making, comfort, guidance, and hope. Whether you are someone deeply embedded in spiritual practice or someone for whom the horizon is totally absent of spiritual goings-on, we are all engaged in practices of cultivating hope and meaning. The final aspect of these practices that remains resonant for queer folks in particular is that there are people within our communities that have become experts through self-teaching, and independent study and practice. As with being queer: most of us are self taught. Some of us had mentors in the community who showed us the ropes, but a lot of us fumbled through the beginnings on our very own. Many of us seek answers and meaning that we had to find on our own outside of institutions and beauracracies. Sharing this knowledge with one another develops a shared language that cultivates our shared investment in each other, and deepens the connection. There are a lot of things that people engage in that we don’t have to necessarily find interesting or appealing. You may hate spoken word, but people who participate are in their own process of engaging in resiliency strategies of articulating their experiences and seeking a witness, which can be deeply healing for them. There are people who desperately need to hear other people’s truths, to cultivate the belief that someone in the future will value their truth. There are people that need to have someone else pull cards with arcane symbols on them, to help them articulate their strengths and potential. This is what I found when I googled “tumblr witch.” You’re welcome. found here. In conclusion, if you are into astrology, that’s great, but let it be your truth and it doesn’t have to be everybody’s. If you’re not, that’s fine, but keep in mind folks are engaging in resiliency strategies. If they keep it out of your face, don’t yuck their yum. But astrology people- let this thing you love be deeply meaningful for you! If people can’t relate, consider trying different conversational avenues. If you are interested in the process of meaning-making and cultivating resilience and need some help, give me a call. 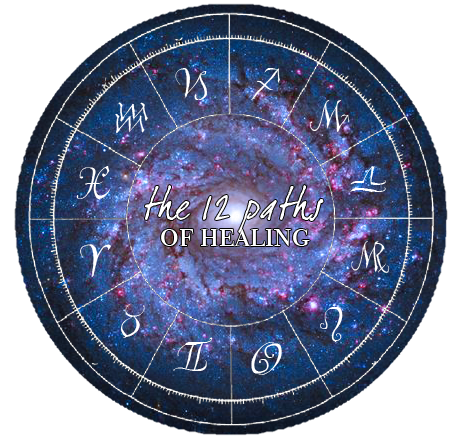 Excited to learn more about the amazing world of astrology and astroherbology?